We made the most of beautiful light on the Kinnegar yesterday evening to capture the first products from the new brewery for posterity. Zack art directed the shoot. 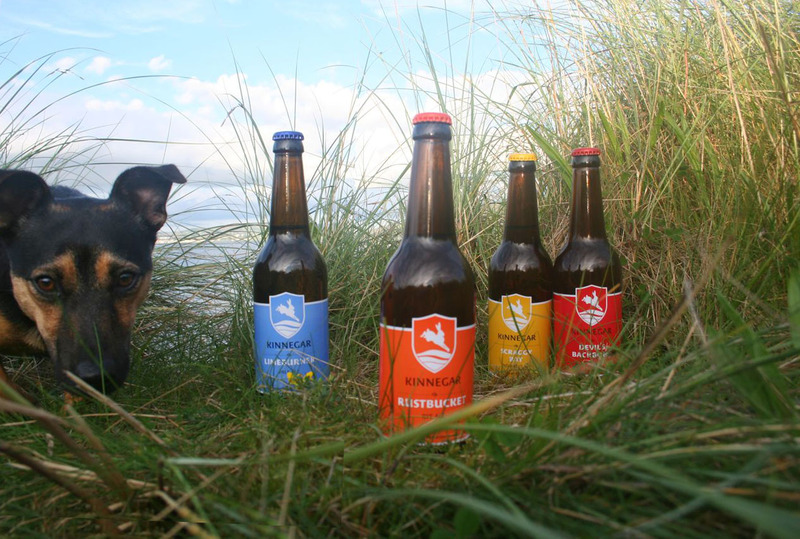 We can happily report that deliveries of Scraggy Bay and Devil’s Backbone are being made today to our loyal outlets in Donegal. It will also be flowing gradually into Dublin and Cork over the coming days. We’ll post a full list of outlets shortly. This entry was posted on August 23, 2013 by kinnegarbrewing. It was filed under A brewery grows .